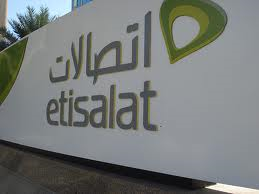 UAE-based Etisalat said will implement its e-bill initiative across all services in a phased manner from September 1. This transformation of current billing methods to new generation environmentally friendly e-bills, will ensure customers have access to their account information 24/7 across the world and can view their details online or though their mobile devices. Other benefits directly enhancing customer experience include ability to get specific information on time and pay bills with relative ease. 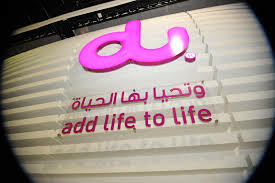 “This initiative is aligned with our short and long term strategies of attaining operational excellence, raising customer awareness and ultimately creating a sustainable environment in the country,” said Saleh Al Abdooli, chief operating officer of Etisalat, UAE. “We support the government’s vision of building a knowledge-based sustainable economy in the near future. Etisalat has strategically backed this vision by providing advanced infrastructure and undertaking pioneering initiatives in the field of ICT, learning, human capital development and energy savings,” he added. “Customers will expect to be able to pay their bills through their smartphones. There is an increased dependence on our infrastructure so we are constantly innovating for cutting-edge solutions,” said Al Abdooli. According to a recent survey conducted by Etisalat, 72 per cent customers have expressed willingness to replace hard copies of their monthly statements with e-bills. Etisalat printed 60,772,179 bills in 2012, using 304 tonnes of paper, which equals to cutting down 7293 trees. About 10 per cent consumers and 35 per cent business users of the existing subscriber base have chosen e-bills since the telecom major introduced the option in January this year. The Telecom Regulatory Authority has also urged adoption of greener billing methods to help with reduction of waste. Several government entities have already implemented e-bills for their services. According to a report published in October 2012 by the Indonesian Pulp and Paper Association, one of the world’s biggest associations specialising in paper, Middle East countries consumed 19 million tonnes of paper in 2011, and this figure was expected to grow to 29 million tonnes over eight years. It said that social media and the large dependence on digital technologies were having a minimal impact on the consumption of paper in the world and the Middle East region. The per capita consumption of paper in the UAE was calculated at 175 kg against the global average use of 62 kg.